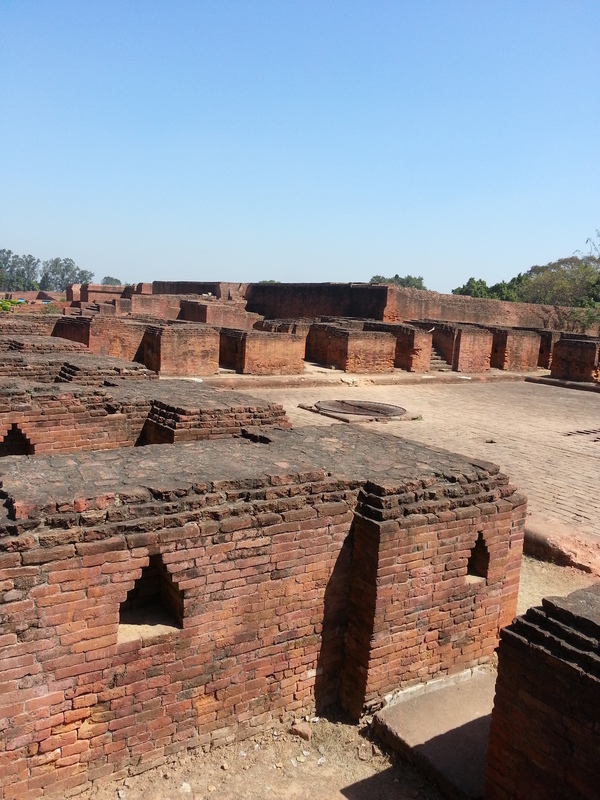 Nalanda is small town in Bihar which is famous for tourists on the Buddhist Circuit. I have been visiting Bihar from childhood days as we had relatives there and we used to visit during our summer vacations mostly every couple of years. But I had never been around much, but somehow this time it worked out and I visited Nalanda/Rajgir which is about 100 km from Patna and roads are relatively better when compared to rest of Bihar. 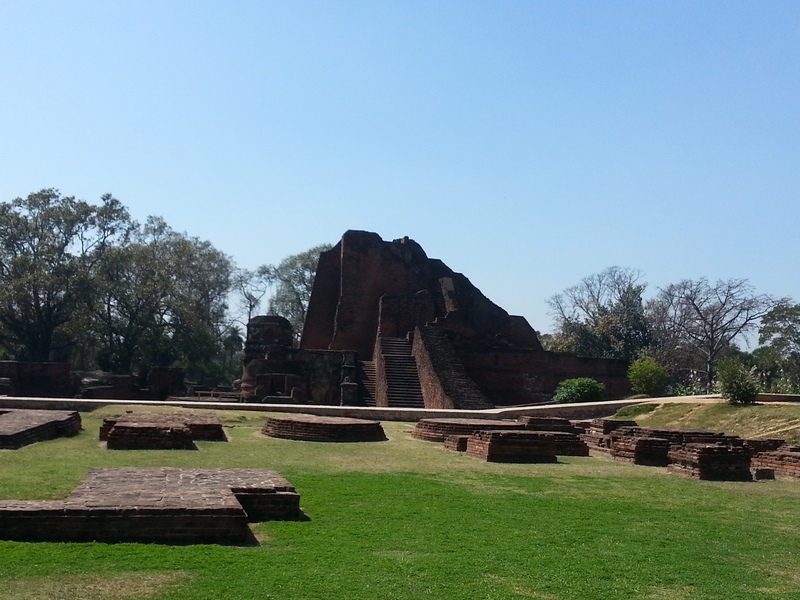 Anyways it was a great experience to see the ruins of erstwhile great Buddhist Centre of Learning and other remains of the long forgotten Indian civilization. The time period that I am talking about is 500 BC to 1100 AD and unfortunately there is not much written history apart from two Chinese travelers Fa Hien (AD 399 – 413) and Hiuen Tsang (AD 629-645). Fa Hien din not mention anything about Nalanda in his writings whereas Hiuen Tsang have given details which has helped historians to co-relate with the excavations that has been done. 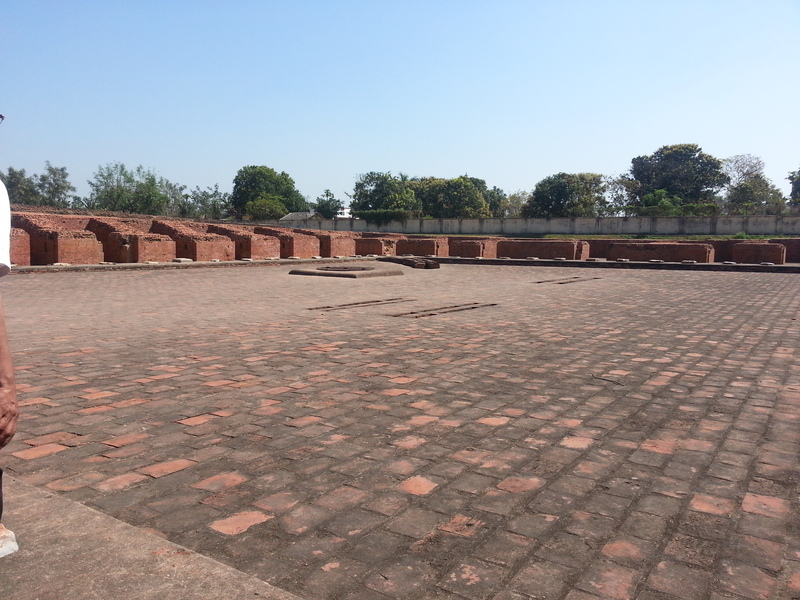 The existence of University happened in a later period but it looks like there were Viharas established earlier for the monks to stay during the rainy seasons. It seems that Monks were to be on travel round the year propagating Buddhist preaching and could find a place to settle during the rainy days. Gautam Buddha before gaining enlightenment passed through Rajgir (earlier Rajgriha) and the king Bimbisara requested him to be part of his court which Buddha denied. 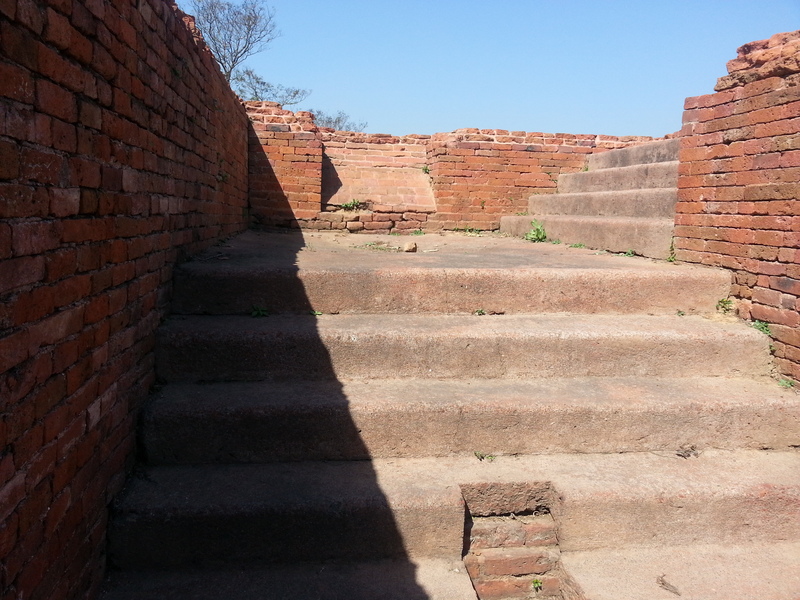 Bimbisara again requested Buddha to come back to Rajgir after attaining enlightenment which was accepted by him. After the enlightenment Buddha did come back and Bimbisara became a great patron and disciple of Buddha. 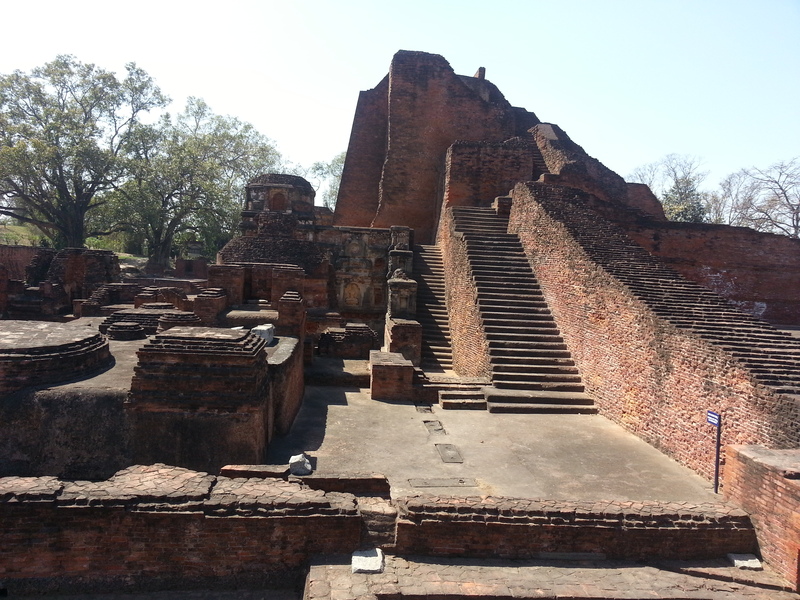 He gave away lot of land for Budhha to create a base station for all the monks and probably this led to creation of Viharas in Nalanda. The rein of Bimbisara is believed to be around 558 BC –491 BC. The teachings and philosophies of Gautam Buddha gained support during the Gupta Empire, reign of Harsa and Pala Dynasties. 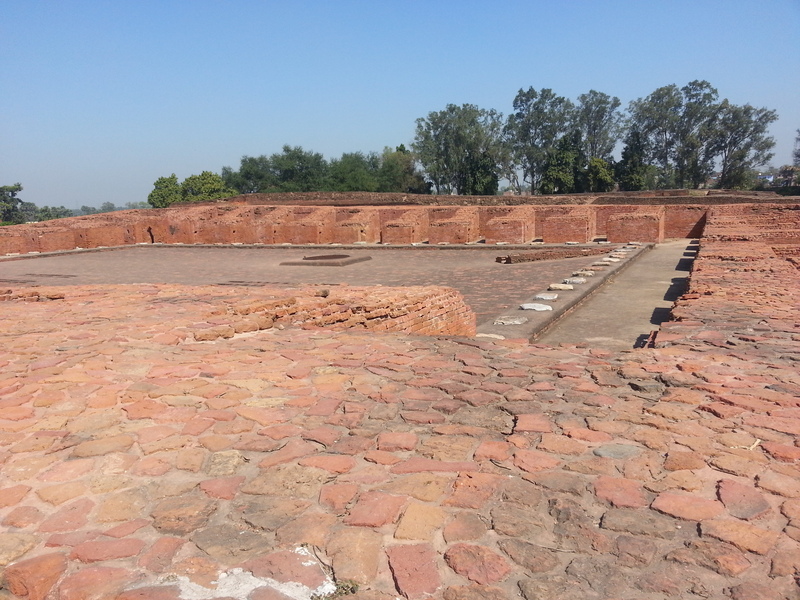 Ruins in Nalanda are spread in 30 acres and Alexander Cunningham identified as ancient Nalanda University in 1860 i.e. almost 600 years of unknown existence with so much of ruins covered with mounds and all kinds artifacts lying around across the villages that had come into existence. The official excavation could be done by only in 1915-16 by the ASI. This shows that what may be left in order to infer the glorious history would not be much. It is said that none of books from the great library has been found and have been destroyed in a large conflagration which as usual has been attributed to Muslim invasion under Bakhtiyar Khilji which is fairly easy drawn conclusion based on Muslim chronicler who always have the habit of eulogizing to great levels for their masters. The question that comes to my mind is how such a big organization could not revive after the invasion, does it mean that by 12th century Buddhism had declined in India to that extent that there was a migration of scholars as well students that the university was never revived. Unfortunately there is not much evidence as to what had happened but the both the Indian and British historians help the muslim invasion for the complete devastation of the university which may the immediate cause but there must other long term causes which needs investigation. Anyways lets leave the history for now and get into what I had seen there which is still amazing as we can at least see it now. 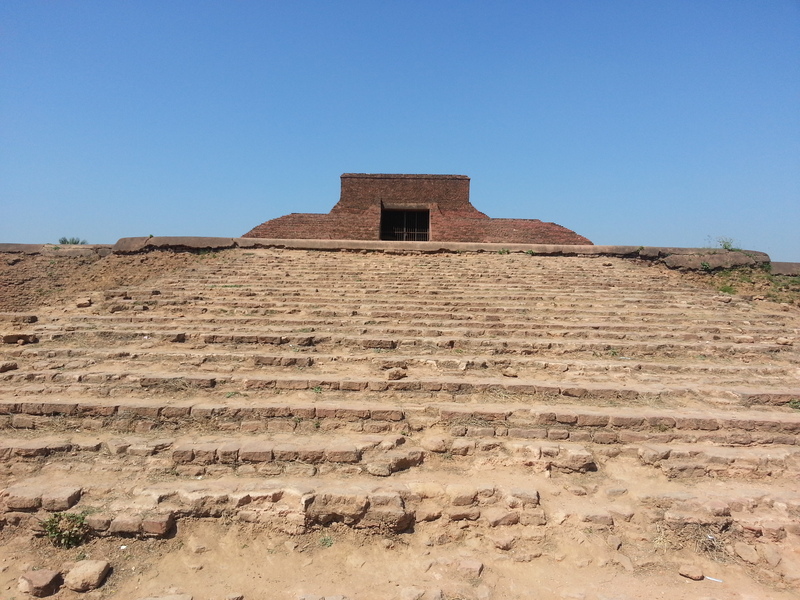 This is the main stupa and it has been observed that this mound is a result of seven successive accumulation. There are number of smaller votive stupas decorated with well modelled stucco figures of Buddha and the Bodhisattvas. Apart from these there are many hostels for students spread across the remains. The trend of constructing over the ruins is again established with these hostels that has been called monasteries. There are eight that are similar in their construction. All the monasteries are believed to be multi-storied as there are steps in many hostels and big stone slabs that were supporting the structure. 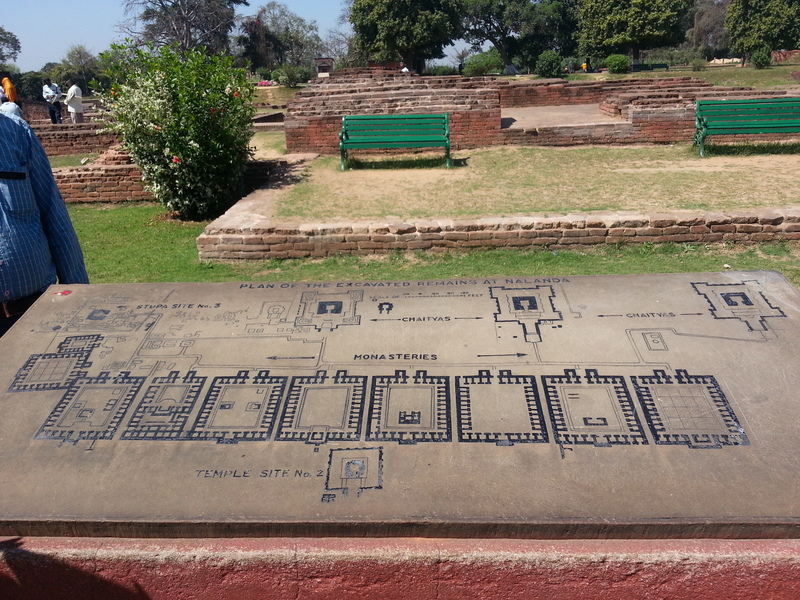 Here is a layout of the Nalanda ruins which is available at the site. There is much more still hidden underground and in the many literature of those times. I will try to read more literature and update my blog.